ReadySetAuction’s UserVoice is an awesome tool that allows YOU – our clients – to help determine what comes next for the future of our software. The big improvements to ReadySetAuction over the past year came from some of the top vote-getting suggestions made in UserVoice. You’re working in ReadySetAuction, and you see something you WISH was a little easier, or that you could do a little differently. How do you let us know? At the top right of the ReadySetAuction screen, click Help. This brings you to our extensive help center, designed to lead you through just about anything you want to do in ReadySetAuction – including submitting ideas. … and enter your idea. UserVoice will search through the existing suggestions as you type, and if a similar idea already exists, you’ll see it just below the idea submission box. If your idea already exists, vote for it! The more votes an idea gets, the sooner it becomes part of ReadySetAuction! If your idea doesn’t match any of the existing suggestions, just hit Post a new idea…, and watch it pop up as the newest part of UserVoice. The eCatalog window used to be open 7 days before and 7 days after your auction event. Clients wanted their bidders to be able to get a preview of all the items available and generate excitement about their amazing package weeks prior. We took that idea and expanded the window to 45 days before and after the auction. This means ebidding can start even earlier, so your night-of-event starting bids can be higher! Bidders could place bids on items using their mobile phones, but we added a feature that sends� text alerts when they have been outbid. This will keep the bidders on their toes and lead to a fun, spirited atmosphere of competitive bidding. There used to be a cap on the number of ebidders your event could have. If you wanted more, you needed to purchase more. It wasn’t working for our clients, so we included unlimited ebidders in the RSA Complete package. Refunds used to be a pain point because they couldn’t be processed in ReadySetAuction’s Control Center. This made reports appear slightly skewed for new users. We added the ability to process refunds right in the ReadySetAuction Control Center, so event reports will always be accurate. Importing is important, so we made it easier! Stop combing through spreadsheets to see which records didn’t import correctly. We added an import exception file to show you exactly what data didn’t import so you can fix it and try again. You told us that having to create an account in order to see ticket prices and event details was sometimes a roadblock for potential patrons, so we changed it! Patrons only need to create an account when they have decided to make a purchase, and we’re confident that our clients are already seeing a difference. Hosting photos on a third party site and capturing the URL was a confusing, tedious process for some. It kept clients from displaying their packages in a way that would get the most attention. Now, upload images directly to ReadySetAuction with our drag and drop image hosting feature. We think our users have great ideas, and we want to keep hearing them. 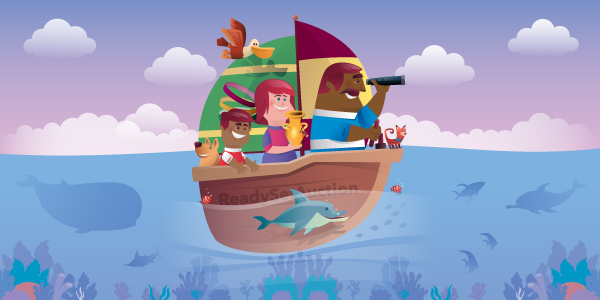 Submit an idea or vote on one today, and you could see it in ReadySetAuction soon!